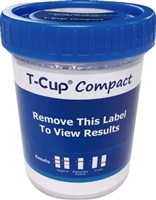 First ever all inclusive 16 Panel DrugConfirm™ Advanced Urine Drug Test is favored by Sober Homes and Counselors as the best all in one drug testing device. 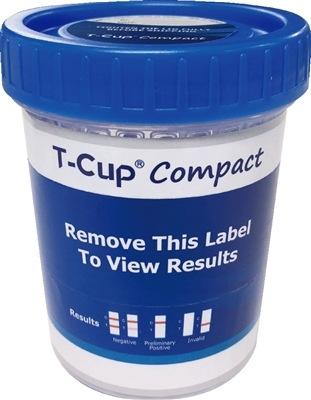 Our DrugConfirm™ Advanced Urine Drug Test Cups yield 99% accurate results within minutes, so you can implement a consistent, all-inclusive drug testing protocol at a price you’ll love. Our Tests Are: -FDA Approved -Health Canada Approved -99% Accurate -Set to the SAMHSA Cut-off levels -Results are Ready in Minutes -Have an 18-24 month Shelf-life -Negative results in 1 minute -Positive results in 5 minutes. 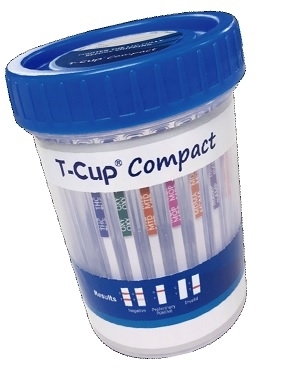 America's first 16 panel drug test cup. Drugconfrim® 16 panel is donor friendly, results are both easy to read and photo copy. All drug testing results appear in the lid. (25 per box) only $234.97 per box. it's much more affordable only $9.39ea.